The Internet of Things (IoT) will advance the way consumers operate. It will allow devices to directly communicate with one another using wireless communications. It will enable you to check your smart phone to take stock of your refrigerator at home and to see how much laundry detergent your washing machine has left. It could be used to monitor your health by taking advantage of circuits integrated into your watch or even your clothing. With the number of IoT-enabled devices expected to more than triple by 2020, the IoT remains a mystery for most people. Continuum for Windows smartphones aims to bring IoT functionality directly to consumers. It aims to make this enigmatic technology less of a mystery while offering more features than other IoT platforms have offered in the past. Smartphones are arguably the most important part of advancing IoT integration. They enable consumers to interface with their devices, which in turn allows them to take advantage of many of the features they can offer. They also have the ability to capture an amazing amount of data. They can capture light conditions, orientation, geological coordinates and more. Smartphones have, in a sense, become truly universal remotes for a variety of devices. They can be used to pay the cable bill, turn the television on and to the right channel, and dim the lights without forcing the user to stand. They can connect with consumer and professional electronics. They can check the device of smart machinery, which includes the condition of vehicles. They can control the lighting, check the status of the refrigerator, operate the sprinkler system, and act as a control hub in smart homes. They can enable crowd sourcing and other community-building activities. 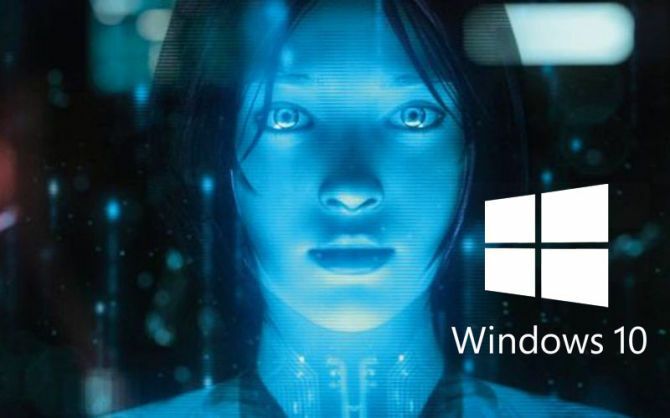 Windows 10 Continuum enters the picture by providing the framework needed to facilitate these functions. This will solve numerous logistical issues while resolving some of the technical challenges specific to having so many interconnected devices manufactured by different companies. Smartphones have advanced so much that they can now fulfill many of the needs that the average person has. They can offer the same experience that desktop PCs can with the right peripherals. The same technology that allows IoT devices to communicate with one another can further this. Keyboards, mice, monitors and projectors can be connected to mobile smart phones for more “traditional” computing. Apps can then scale up to run similarly to the way they would on a PC. A Familiar Look – The taskbar, search and task view buttons are similar to those used on Microsoft systems for the past 20 years. Accessible Start Screen – The Start Menu doubles as a start screen for apps. All Apps – Access to applications looks the same as it would on a traditional PC. 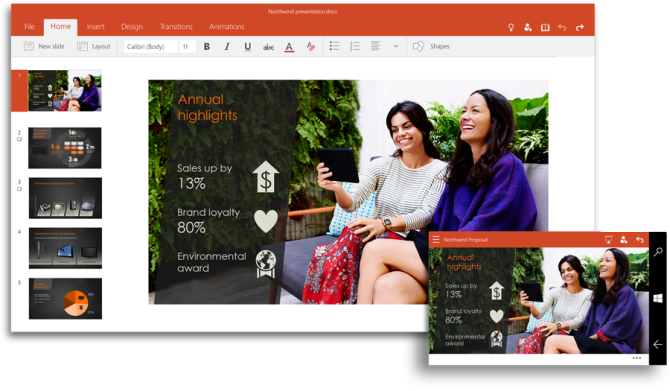 Continuum Appearances – Apps like Office Mobile will look like regular Office for PC when the device is running in Continuum mode. Scalable Apps – Universal apps (such as Store, News, Weather, Settings, etc.) have been developed to scale with Continuum. This allows them to work optimally no matter what device is used to display them. One Language – Microsoft plans to expand the versatility of Continuum while standardizing machine communication by using Continuum. Small devices, such as wearables and music players, can integrate IoT functionality simply by taking advantage of NET Micro Framework while larger devices can use Windows 10’s Continuum functionality. Seamless Dual Functionality – Continuum has been developed with the idea that a smartphone should be able to be a phone and a computer simultaneously. Calls and messaging can still be accessed seamlessly even when the phone is in Continuum mode. Dual Display Support – Continuum supports using the phone’s display and an external display simultaneously. This allows the phone to be used as an interface while a monitor or projector can display an optimized environment. Continuum offers an abundant amount of options that make the IoT a more realistic idea. Besides upgrading to Windows 10, it will also require new hardware that fulfills Continuum’s needs. Consumers will need to invest in new smartphones that fulfill Continuum’s requirements to take advantage of it. This will allow Continuum to be enabled wirelessly for phones via Miracast or via a Continuum Dock using a USB-C to HDMI or DisplayPort connection. Microsoft plans to release the Lumia 950 and 950 XL to make Continuum for Phones more accessible. Acer plans to follow this by releasing the Jade Primo, which is stated to support Continuum fully. Smartphones represent one of the most practical ways for users to connect with the IoT and the devices that use this cutting-edge concept. Continuum bridges the gap between these devices while giving users the option for a more traditional desktop PC experience and allowing phones to offer the same functionality. This can allow for impromtu work without compromises, as apps will resize to work with larger monitors, projectors and televisions. Given the way Continuum works, it’s like having the power of a desktop and the versatility of a mobile phone in your pocket. The preceding was a guest post written by Gabriel Michaelson, a tech enthusiast that wants to share his experience and wants his passion for tech to become yours. He can be found on Twitter @Gabemich1337.